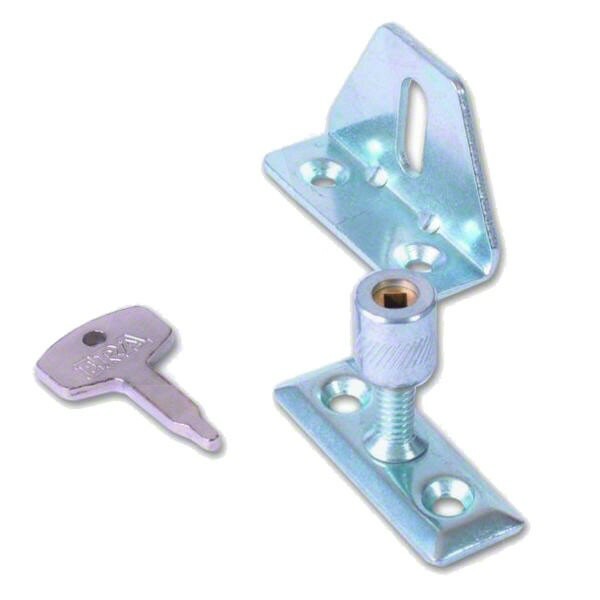 The ERA 828 Locking Window Catch is manufactured from steel and brass to hold the window tight against the frame. The window is pulled tight into the frame by threaded peg and locknut. It is suitable for most types of windows and small doors and replaces most through-peg stays fitted to wooden casement windows. it is supplied with wedge plate for tapered frames & fixing screws. The Era 828 Window Catch is also suitable for small doors. The lock features tamperproof locking nuts which prevents opening without the key.